The idea of conceiving a new design idea can be a difficult process but sometimes, when things fall in line, the ideas are presented to you. 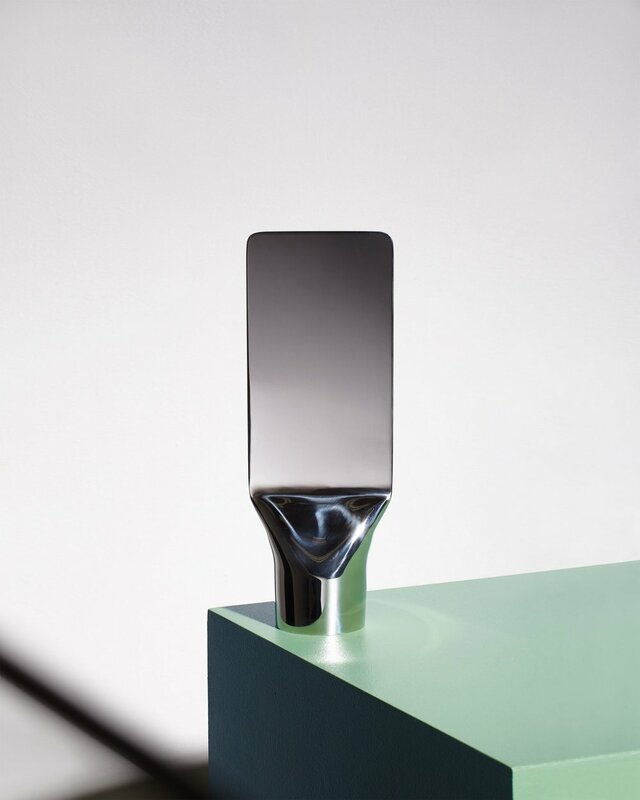 This was no different for London-based design Philippe Malouin who, while working on a shelving unit and pressing metal, came up with the idea for the minimal Press Mirror (for Umbra Shift). The piece is created by flattening the top half of a single metal cylinder which leaves the bottom half to support and creates a foundation. The mirror is created by polishing the metal surface which gives each piece a uniqueness due to the nature of its production. 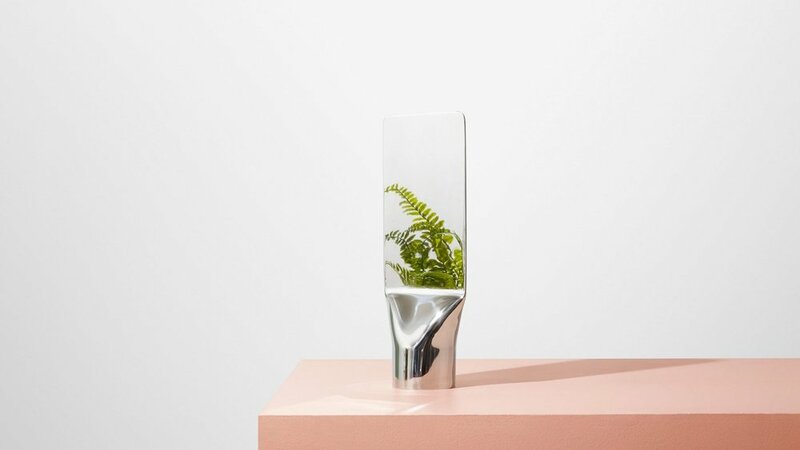 The piece can also be handled by the user when they require a personal hand mirror or, when not in use, as a sculptural piece thanks to its simple, clean lines and form.